If you want to earn some extra Gold Points via the My Nintendo rewards program, you’ll want to pre-purchase Super Smash Bros. Ultimate via the eShop. You’ll be eligible to get up to 300 Gold Points by doing that, and if you also pre-purchase the Fighters Pass you’ll get a total of 425 Gold Points. Not too shabby if you were going to purchase the game anyway! 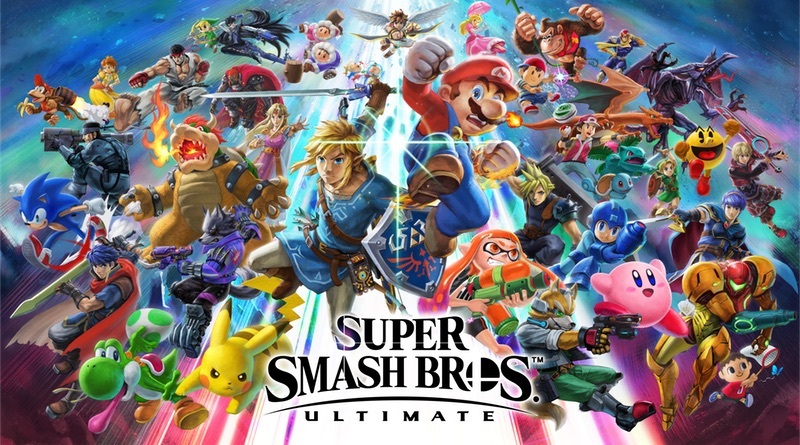 The Super Smash Bros.™ Ultimate game for the Nintendo Switch™ system is set to come out swinging on Dec. 7 with a huge roster of fighters, stages, items, and modes. Make sure you’re ready to play as soon as it’s released by pre-purchasing the digital version of the game and you’ll score double Gold Points. That means you get up to 300 points when you pre-purchase the game, then a bonus 300 points when the game comes out. Want even more points? If you pre-purchase the Fighters Pass along with the digital version of the game, you can score 425 bonus points instead of the 300 bonus points you’d get by only pre-purchasing the game. By pre-purchasing the game, you’ll also be qualified to receive a download code for the Piranha Plant in-game character*. The download code for the Piranha Plant in-game character will be sent to the email address associated with your Nintendo Account, and you’ll receive the new fighter when it becomes available in early 2019. **Don’t forget that you can use the Gold Points you earn toward the purchase of select digital games and DLC for Nintendo Switch, or a Nintendo Switch Online membership. Learn more about the game or buy now on the official site. The double Gold Points pre-purchase offer ends Dec. 6 at 8:59 p.m. PT. Bonus points will be issued on the game’s launch day, are earned based on the original list price of the game or game + Fighters Pass on Nintendo eShop, and will vary by country and currency. A Nintendo Account is required to receive and redeem My Nintendo points. Terms apply. https://accounts.nintendo.com/term_point. * Purchase the digital version of the game or register your physical game card on your Nintendo Switch device by 1/31/2019 at 11:59 p.m. PT to qualify. **A software update may be required to receive the downloadable content. The download code for the Piranha Plant in-game character expires 6/30/2019 at 11:59 p.m. PT. Full version of game required to use DLC.